Jared Leto made headlines recently when the long ombre waves he has sported for several years were very publicly chopped off for his role as the Joker in the upcoming film Suicide Squad. Images of the actor’s new close-cropped look quickly spread across Twitter and Instagram. 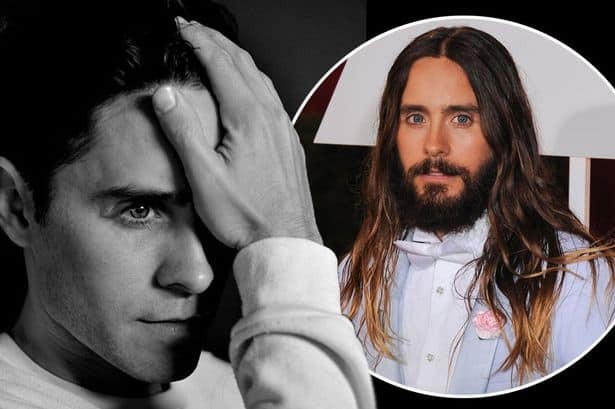 Merely hours after the haircut had been captured on social media, Leto himself Tweeted that he was missing his beard, which also wound up on the floor along with his long, luxurious waves. Of course for actors like Leto, changing hair for a role is a pretty regular occurrence. For mere mortals, chopping off long hair that has taken years to grow can be a big decision. Christa Sears, Creative Director at 18|8 Fine Men’s Salons, offers of some advice for long-haired lads contemplating taking the short cut and getting long hair chopped like Mr. Leto. It’s wise for guys to take in some visuals to show their stylist the type of look they are hoping to achieve. While you may not necessarily have the same hair type or texture as the guy in the photo, it avoids confusion and offers a solid visual of the look. We have some looks on hand at the salon to help guys identify the right look for them. It’s important to also consider your desired maintenance routine, e.g. how long you want to spend styling your hair in the morning, how often you wash your hair, how much product you are comfortable using and so on. Opt for phases if you are on and off the fence. If you want a change, but aren’t ready for clippers, ask your stylist to give you some options for transitioning to a medium cut before you chop it all. Recently at 18|8, a client decided to cut off his shoulder length hair, but wasn’t sure what he really wanted. We suggested that he start with a longer short cut and go from there. This plan was a great choice in his case, because Ben looks better with a length and shape that was kept rough around the edges — and his texture and density worked well with a good strong product. Had we attempted to give him a dramatic short cut, Ben may not have discovered how much he liked the medium short hair style. Like Jared Leto, this medium short hair cut is a great transition from having shoulder length hair when deciding to go for a big change.